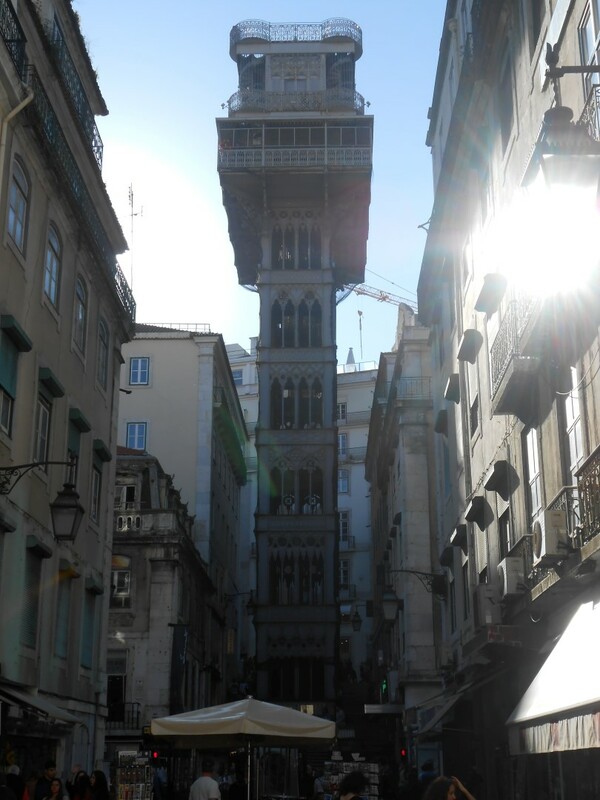 The Santa Justa Lift is located at the end of Rua de Santa Justa in the city center of Lisbon. 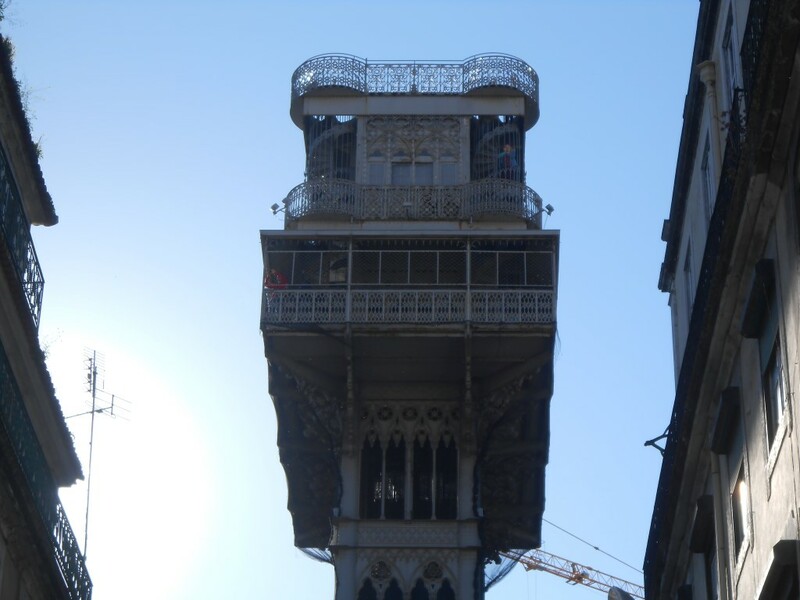 It is often called Carmo Lift/Elevator. 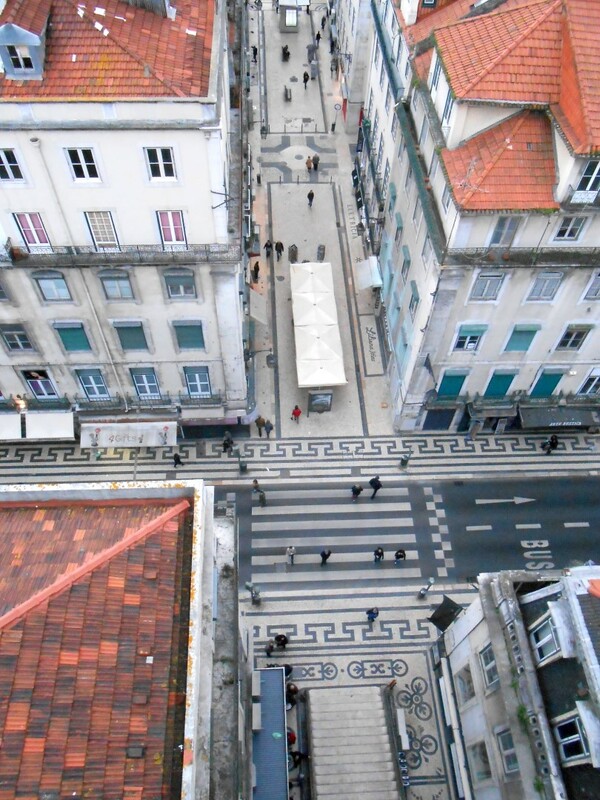 The elevator was build to connect the lower streets of Baixa with the higher streets, so you don’t have to walk up any hills. Nowadays it’s just a tourist attraction, because it’s too expensive to just regularly use. The structure is designed by Raul Mésnier, an apprentice of the famous Gustave Eiffel. 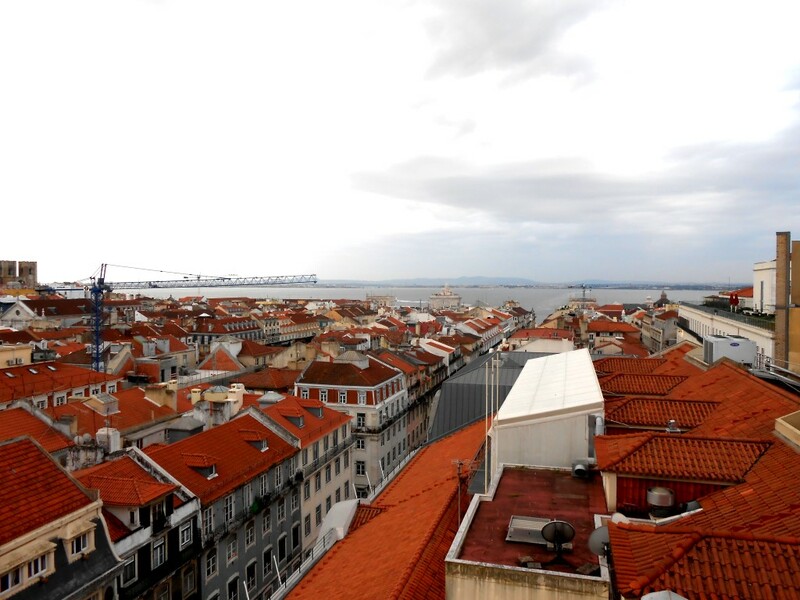 From Castelo Sao Jorge you have a view of the Santa Justa Elevator and from this elevator there is a view of the castle. 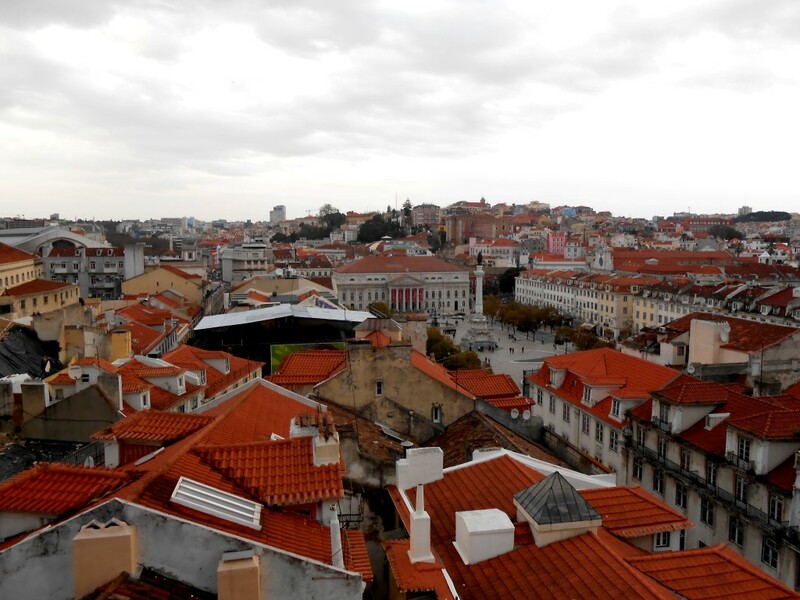 From both places there is a view over the Baixa/Chiado area, so it’s not really necessary to go up on both viewpoints. However it is a nice view and it’s a nice experience to be on top of this tower. You can pay €5,- to actually use the elevator to get on top or you can walk a couple of blocks up hill and then you can get into the back entrance for free. This is an easy choice, isn’t it?